food rated for 25 years of storage. 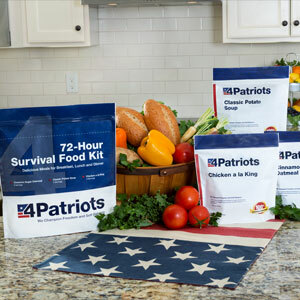 16 servings of delicious, easy to prepare food for the Patriot in YOU! 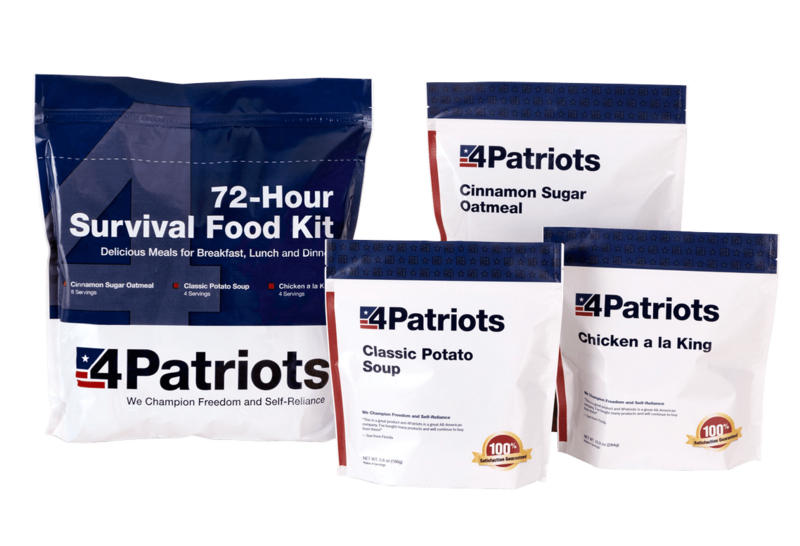 You'll get 16 servings of delicious and nutritious survival food rated for 25 years of storage… that’s 5+ servings per day for breakfast, lunch and dinner! You get 3,360 total calories (1,120 calories per day), enough food, energy and nutrients to survive a 72-hour emergency. 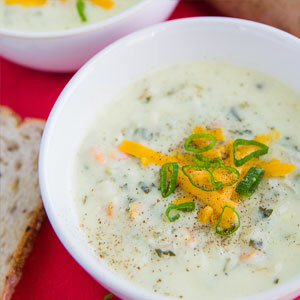 You'll get tasty meals such as Chicken a la King, Classic Potato Soup and the stick-to-your-ribs breakfast favorite Cinnamon Sugar Oatmeal. and now have more peace of mind knowing that they have food ready in case of a natural disaster. "The life expectancy of your product is what attracted me. I had been concerned about stocking up with foodstuffs that wouldn’t last more than two to four years. This cuts down on bulk greatly, too." 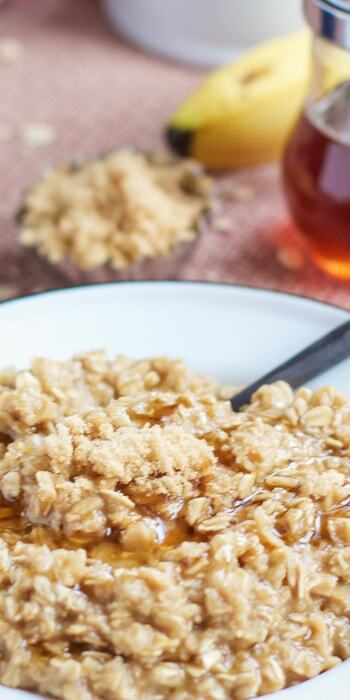 ""In these and more troubled times to come, it’s comforting to have a backup supply of food." 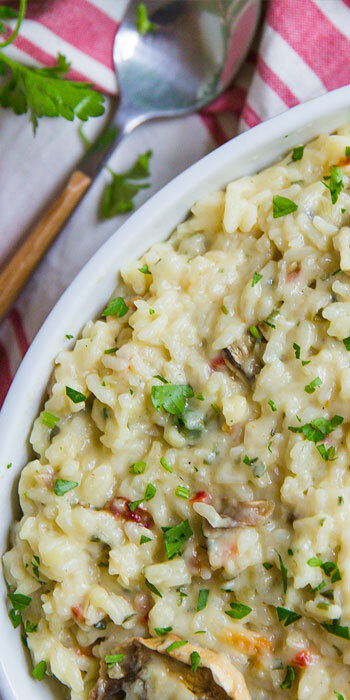 "We’ve tried the creamy chicken and rice to see if we would like the food and we love it. I have never felt insecure because of my upbringing,"
"I bought these packets to use for camping, because they are light weight and easy to prepare." We are an independent small business founded by entrepreneurs in Nashville, TN and committed to the American Dream. We are proud that our company has created over 40 new jobs for hard-working folks in Tennessee, Texas, Georgia, Wisconsin, Indiana, Utah and Arizona over the last couple of years. 1) Producing top-quality products that help people be more self-reliant and more independent. 2) Treat our customers with integrity in the way we would like to be treated. 3) Be a great place for great people to work. © 2019 4Patriots, LLC | All Rights Reserved. We may collect and store personal or other information that you voluntarily supply to us online while using the Site (e.g., while on the Site or in responding via email to a feature provided on the Site). www.72hourfoodkit.com only contacts individuals who specifically request that we do so or in the event that they have signed up to receive our free newsletters or have purchased one of our products. www.72hourfoodkit.com collects personally identifying information from our users during online registration and online purchasing. Generally, this information includes name and e-mail address for registration to receive our free newsletters and name, postal address, and credit card information when purchasing our products. All of this information is provided to us by you. Your information is stored at the list server that delivers www.72hourfoodkit.com emails and data. Your information can only be accessed by those who help manage those lists in order to deliver e-mail to those who would like to receive www.72hourfoodkit.com data. All of the newsletters or emails that are sent to you by www.72hourfoodkit.com include an unsubscribe link in them. You can remove yourself at any time from our newsletters or mailing list by clicking on the unsubscribe link that can be found in every communication that we send you. UNDER NO CIRCUMSTANCES, INCLUDING, BUT NOT LIMITED TO, NEGLIGENCE, SHALL WE, OUR SUBSIDIARY AND PARENT COMPANIES OR AFFILIATES BE LIABLE FOR ANY DIRECT, INDIRECT, INCIDENTAL, SPECIAL OR CONSEQUENTIAL DAMAGES THAT RESULT FROM THE USE OF, OR THE INABILITY TO USE, THE SITE, AND/OR, PRODUCTS, OR SERVICES, OR THIRD-PARTY MATERIALS, PRODUCTS, OR SERVICES MADE AVAILABLE THROUGH THE SITE, EVEN IF WE ARE ADVISED BEFOREHAND OF THE POSSIBILITY OF SUCH DAMAGES. (BECAUSE SOME STATES DO NOT ALLOW THE EXCLUSION OR LIMITATION OF CERTAIN CATEGORIES OF DAMAGES, THE ABOVE LIMITATION MAY NOT APPLY TO YOU. IN SUCH STATES, OUR LIABILITY AND THE LIABILITY OF OUR SUBSIDIARY AND PARENT COMPANIES OR AFFILIATES IS LIMITED TO THE FULLEST EXTENT PERMITTED BY SUCH STATE LAW.) YOU SPECIFICALLY ACKNOWLEDGE AND AGREE THAT WE ARE NOT LIABLE FOR ANY DEFAMATORY, OFFENSIVE OR ILLEGAL CONDUCT OF ANY USER. IF YOU ARE DISSATISFIED WITH THE SITE, ANY MATERIALS, PRODUCTS, OR SERVICES ON THE SITE, OR WITH ANY OF THE SITE'S TERMS AND CONDITIONS, YOUR SOLE AND EXCLUSIVE REMEDY IS TO DISCONTINUE USING THE SITE AND THE PRODUCTS, SERVICES AND/OR MATERIALS.